When you look back, Hindu mythology states that Matsya was an incarnation of Lord Vishnu, the preserver of the Universe. It is said that the earth had become corrupt, and a flood was going to wash away the earth. Vishnu donned the avatar of a fish, called Matsya, and transported all the sages to safety, thus ensuring all their wisdom was preserved. This asana aims at being focused and resilient when you feel out of balance, just as the Matsya struck that balance between the earth and the sea. It is essential to make sure that your bowels and stomach are empty before you perform this asana. It might be a good idea to give a gap of a few hours between your last meal and the exercise. This will allow enough time for your food to digest well. This asana works best when practiced in the morning, but you could practice it in the evening too. Lie flat on your back, making sure your legs are together, and your hands are placed comfortably beside your body. Place your palms under your hips such that the palms are facing the ground. Now, bring the elbows closer to each other, placing them close to your waist. Cross your legs such that your feet cross each other at your middle, and your thighs and knees are placed flat on the floor. Breathe in and lift your chest up such that your head is also lifted, and your crown touches the floor. Make sure the weight of your body is on your elbows and not on your head. As your chest is lifted, lightly pressurize your shoulder blades. Hold the position only until you are comfortable. Breathe normally. Exhale and release the position, lifting your head first, and then dropping your chest to the ground. Untangle your legs and relax. 1. It is best to avoid this pose if you suffer from high or low blood pressure. 2. Also, patients with insomnia and migraine are asked to abstain from the Fish Pose. 3. If you have had a back injury, it is strongly recommended that you avoid this asana. 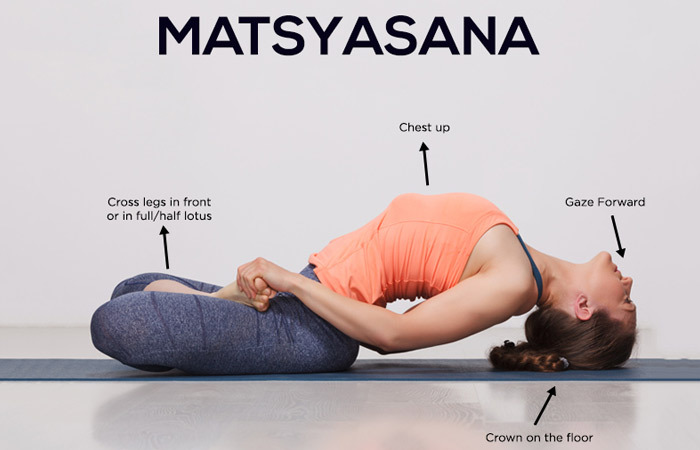 As a beginner, it is possible that you might feel a strain in your neck when you start practicing this asana. 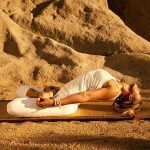 To avoid this, you could either slightly lower your chest, or put a folded blanket under your head until you feel comfortable in this asana. This asana can also be done with the legs kept straight and the toes pointing outwards. To notch it up a little, you could also lift your legs about six inches off the ground, ensuring your toes are pointed. 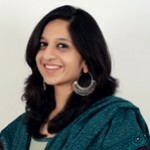 If you want to increase the stretch, place your hands in the Anjali Mudra, instead of placing them under your buttocks. To bring your hands in the Anjali Mudra, stretch your arms out, and let your fingertips point to the ceiling. This asana is known to make you focused and resilient when you feel unsure and shaken. In this asana, your legs are grounded to the point that they feel deeply burrowed in the earth. This lifts your chest and deepens the breathing. The Fish Pose makes your back and abdomen stronger, and the curve of the neck works to the advantage of the thyroid. Like all backward bending poses, this asana works towards brightening your mood. They say this asana works like a refreshing break that will ground you and wake you up. You will feel energized and full of life. No one is stopping you from doing this asana in the middle of the afternoon! If you are at your desk job, and your spine is rounded while you sit all day, you could create movements similar to Matsyasana, sitting in your chair, to reverse the imprints of your posture. You won’t have to “wake up and smell the coffee”, if you integrate the Matsyasana in your daily life. You will begin to live life to the fullest as you remain energized and fully alive to each and every moment.